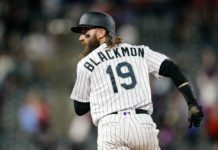 The 2019 season is off to a less-than-ideal start for the Colorado Rockies as they currently find themselves in the midst of an eight-game losing streak. While their 3-12 record is disheartening, there are some bright spots that have emerged from the early season chaos. Considered the potential Achilles heel of the team entering the season, the Rockies bullpen has been phenomenal and their strength to start the season. While the rest of the club has struggled out of the gate, Colorado’s bullpen has been the one reliable dynamic of the team. Entering the weekend Colorado’s bullpen ranked third in the National League in opponents batting average (.208), fourth in innings pitched (55 IP) and fifth in earned run average (3.27). The formidable performance from the bullpen is a major positive for the Rockies moving forward. After the departure of Adam Ottavino in the offseason and the dreadful performances from Bryan Shaw and Jake McGee, there were some serious questions regarding how the Rockies planned to bridge the gap to closer Wade Davis. Davis and McGee have yet to allow a run, Scott Oberg has been dynamite and Shaw has been rock solid. The rest of the relief corps has been steady in their appearances and are the club’s only relative source of stability through the first phases of the year. 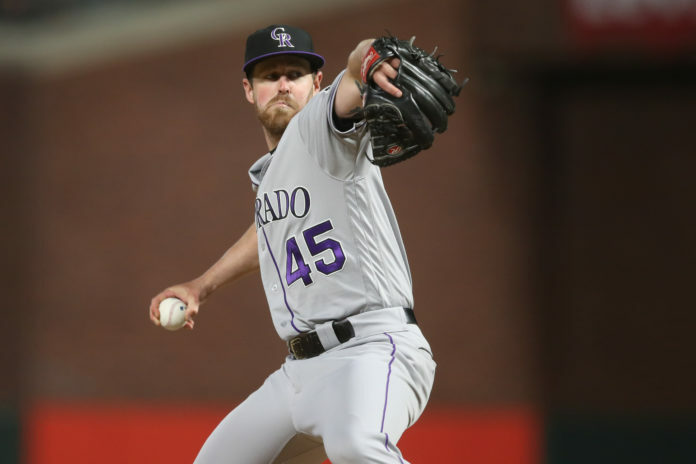 The Rockies have invested heavily in their bullpen over the past few years, signing Davis, Shaw and Mike Dunn to sizeable free agent contracts totaling close to $100 million while also re-signing McGee to a three-year, $27 million deal. 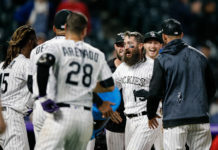 There were concerns that the bullpen would sink Colorado this season; however, their relief pitchers have done a great job of picking up the slack of the starters and keeping the score within punching distance for the offense. A highlight of Colorado’s bullpen came in their 3-2 extra-inning loss to the San Francisco Giants Friday night. The bullpen managed to retire 19 consecutive batters at one point and forced the game to go 18 innings before the Giants eventually came out on top. The Rockies’ relief pitchers have been doing their part this year while the rest of the club has sputtered. It is critical their bullpen continues to perform at a high level if they want to be competitive this season, especially when the Rockies offense eventually begins to get rolling.